Production, transport and exploitation of the energy, all have a great impact on environment and ecosystems. Unfortunately so, energy has almost always negative impact on the environment, from direct ecological disasters like spilling of the oil, acid rains and radioactive emission, to indirect effects like the global warming. Since the energetic needs of the mankind will continue its growth in the next decades as well, some measures which would as much as possible decrease the influence of energy exploit to an environment are really a necessity. The most dangerous energy sources are currently fossil fuels (coal, oil and natural gas), and potential danger comes also in form of the used radioactive fuel from nuclear power plants (highly radioactive waste). Fossil fuels are dangerous because when combusting, they release large quantities of carbon dioxide, and radioactive waste is always dangerous because it influences the structure of organisms on a very basic level. Our influence as the energy consumers is big. Earth is in our hands. Majority of the world’s energy is still gained from ecologically unacceptable energy sources, especially fossil fuels which are still dominant energy source. Since fossil fuels have coal as their base, normal combustion of these fuels results in carbon dioxide (CO2) which is a greenhouse gas. This carbon dioxide mostly ends up in the atmosphere and with its greenhouse effect causes the global warming. Even more dangerous is the gas that is released during the incomplete fuel combustion (combustion without the needed amount of oxygen), and this is carbon monoxide (CO). Carbon monoxide is extremely poisonous gas without color, taste or scent, and its concentration of just 0.6% is causing death after only 15 minutes of the inhalation. At this moment, not single one fossil fuel isn’t completely purified, and so during the combustion some other harmful gases like sulfur dioxide or nitrogen oxide are getting released as well. These gases later react with the water steam in the clouds forming drops that are falling on earth in the form of weak sulfuric acid and nitric acid – acid rains, and these rains have extremely negative impact on all the ecosystems they’re catching. Combustion of some energy sources results in the form of tiny particles of minerals which are later forming the ashes, but certain number of these particles rises to the atmosphere carried by swirl of smoke. These particles are very dangerous for human health. Surface ozone in New York City. Surface ozone can cause airways irritations. Fossil fuels – this type of fuel has by far the worst negative impact on the environment. Combustion of fossil fuels causes the release of tremendous amounts of carbon that was settled down millions of years and then was covered with layers of rocks and soil to an atmosphere. 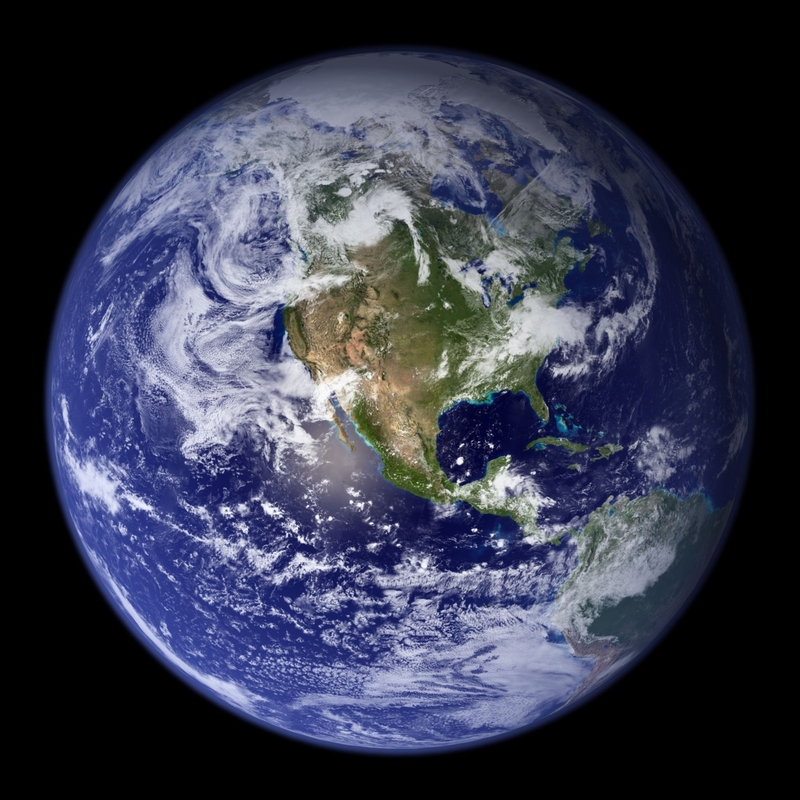 The same carbon is now forming carbon dioxide in the atmosphere which is a greenhouse gas and which is significantly influencing current temperatures on the Earth. Bioenergy (biofuels) – biofuels are creating the same problems as the fossil fuels, but since production of biofuels closes the carbon cycle, biofuels are less harmful than fossil fuels. Closing the carbon cycle means that plants which are used for producing biofuels during the growth take from the atmosphere certain amounts of coal which is later returned to the atmosphere by combustion of these biofuels. Fossil fuels don’t have this circle closed because here carbon gets only released to the atmosphere. Solar energy – although energy of the Sun has tremendous potential because of its small power efficiency it would be needed to cover great areas in order to get more serious amounts of usable energy. This solution is ecologically acceptable only in areas where there’s no vegetation, namely in deserts, and in «green» areas this would create heavy negative effect on the environment. Installment of solar collectors or solar cells on rooftops isn’t almost having any negative effect on the environment. 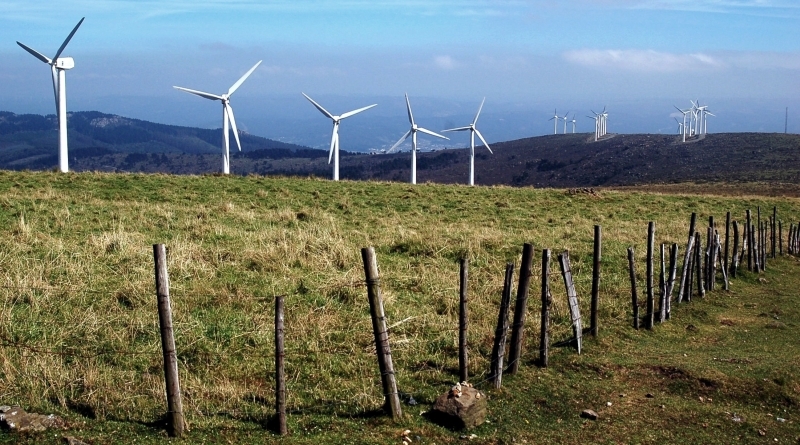 Wind energy – production of energy out of the wind doesn’t have serious negative effect on the environment. 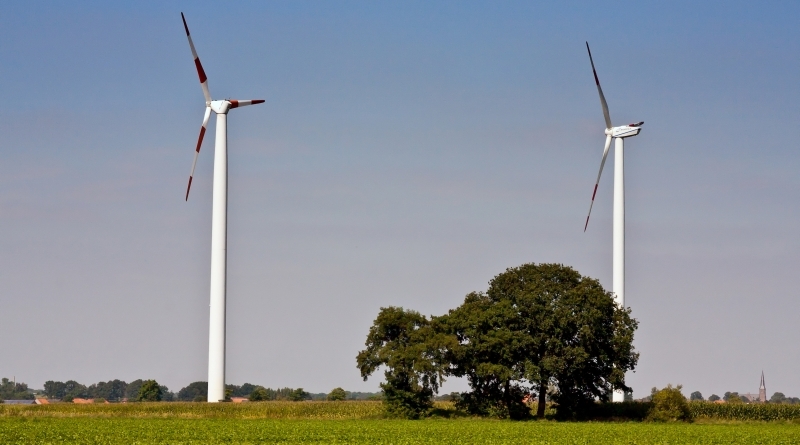 Ecologically speaking, only real flaw of the wind power plants is the negative effect on decreasing the bird population because its propeller is killing birds. Smaller criticisms are visual pollution of the environment, destruction of intact nature by building the access roads to the windmills and generating the sound of low audio frequency which has negative effects on health (sleeping problems, causing headaches, can cause anxiety). Water energy – water energy use isn’t creating any pollution of the environment, but the infrastructural objects can have significant impact on the environment. For instance, huge dams building is causing the flood of the large areas and rises the level of underground waters and this can change the whole local biosystem. Additional problem is also cutting the natural water flow and withal cutting the routes of movement of some water animals. Nuclear energy – production of energy in nuclear power plants is extremely clean process. 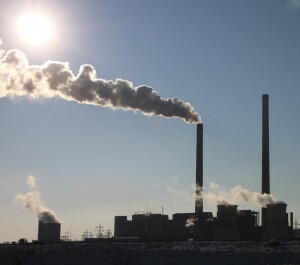 There aren’t greenhouse gases, it only comes to heating of the water which is used for reactor cooling and this can eventually influence on some biosystem. The biggest problem regarding nuclear power plants is the used fuel which is extremely radioactive and must be stored for couple of centuries in special underground warehouses. Geothermal energy – use of geothermal energy doesn’t pollute the environment. Same as other renewable energy sources, geothermal energy use also requires some infrastructural objects, but influence of these objects to an environment is negligible when we look amount of the produced energy. The release of the greenhouse gases in the atmosphere is considered to be main reason for the global warming. 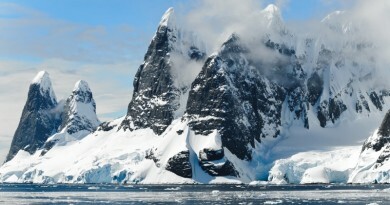 Despite the positive fact of some significant progress in some fields of at least reducing if not stopping global climate changes, general progress isn’t still presenting satisfaction and there are many uncertainties that need to be solved if we want to put an end to a global warming. Emission of the greenhouse gases to an atmosphere didn’t have significant decrease and opponents of the Kyoto protocol, which should have a key role, are pointing to the fact that reducing the emissions according to the Kyoto protocol would present a heavy burden to economy. Some detailed analyses were already performed and results showed that economic losses wouldn’t be that big as the opponents of the Kyoto protocol said they would and on the contrary would be very acceptable in relation with positive effects of reducing the greenhouse gasses emissions. USA has signed the Kyoto protocol, but still hasn’t ratified it and it’s not certain will it be ratified after all because Kyoto protocol is only valid until the year 2012, when it should be replaced with some other agreement. 172 states from the list of the states which have signed and ratified Kyoto protocol are currently producing 61,6 % of the total greenhouse gases emission. Besides America, Australia also failed to ratify this protocol, and China and India despite ratification aren’t obliged under the current agreement to reduce the emission of the greenhouse gases and therefore question of the significance of Kyoto protocol is rightly asked, especially if we consider the fact that America is releasing largest quantity of the greenhouse gasses to the atmosphere and has still failed in ratifying the agreement. But Kyoto protocol alone won’t be sufficient without proper legislative support and so legislation must do their share too. Besides the greenhouse gas as the current No.1 problem some other question will also need to be answered, namely how to prevent ecological disasters and pollution of the nature in general. Consequences of the acid rains. 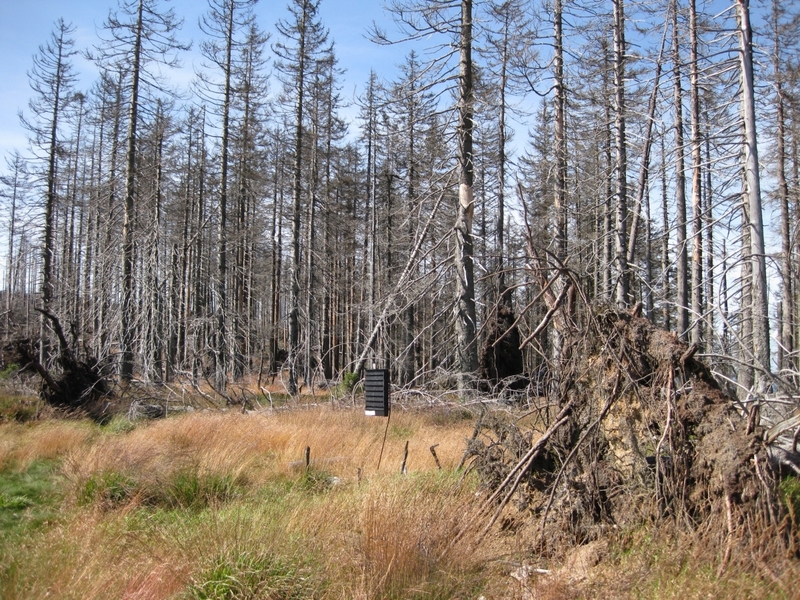 Acid rain can have a significant impact on the whole biosystem. Acid rains are created when free non-metallic sulfur oxides get connected with the water steam in the atmosphere in to the compounds of sulfuric and nitric acids which are later falling on the earth in the form of the drops. Acid rains are one of the major reasons of the death of the forests because sulfur dioxide, which is by far the most harmful substance in the air, is transforming to a sulfuric acid which has disastrous effect on the entire flora. Sulfuric acid has highly negative impact on green plants because it deranges the process of photosynthesis which is causing damage to the leaves, and later on it results in dying of the forests. Sulfuric acid is melting nutritious substances (calcium) which plants need for their tissues, and this acid also gets to the roots and leaves damaging their cellar tissues. Besides for plants, acid rains are also causing serious water pollution by decreasing its Ph concentration which is causing violation of the whole ecosystem because major decrease of the Ph concentration leads to the dying of the microorganisms, and there is of course the problem of the drinking water. Pollution of the water is the largest problem because the pollution from air gets transported by acid rains to the soil and there is a chance of its flow to the surface and the underground water flows. Acid rains are one of the major reasons of decreasing the supplies of the drinking water on the world level and are presenting serious threat to the future water supply of the mankind. Although there is a progress in preventing the acid rains (for instance in America are sued methods of coal purification in which dangerous compounds of sulfur are being removed out of the coal), danger from acid rains isn’t over, despite it seems lately like unimportant compared to the global warming . 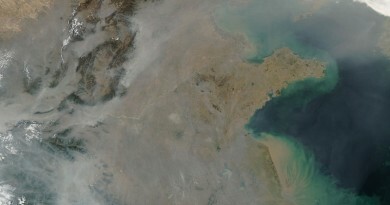 Acid rains are still big problem in some Asian countries, like China that is because of high rate of industrialization paying price in form of acid rains. 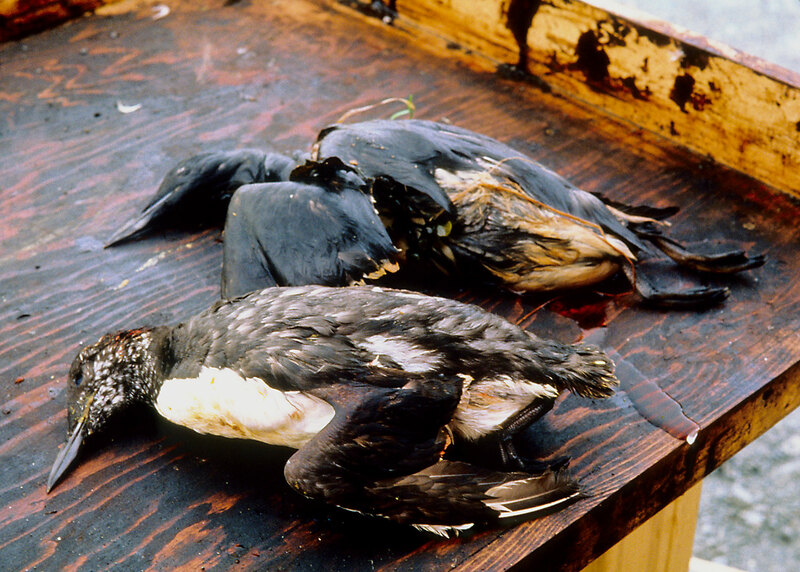 Bird covered in oil after swimming in the oil-slick that was made by tanker Exxon Valdez. There is also a big problem in possible tanker incidents where oil tanker leaks large quantities of the oil into the ocean. There are many possible ways of oil spilling like equipment failures, wars between the states, terrorist attacks and illegal dumping of the oil where illegal dumpers dump crude oil into the oceans because they don’t want to spend money on decomposing it, and natural factors like hurricanes which can cause the oil tanker to flip over. Spilling of the oil has horrible effects to the complete ecosystem that is hit by spilling: birds are dying if their feathers are covered in oil because they’re trying to clean their selves and by doing so birds get poisoned and are dying because the oil comes to their lungs and the same thing happens to other animals as well when oil gets in their lungs. The biggest oil spill into the ocean happened in 198, and is connected with the tanker Exxon Valdez and its releasing of 42 millions liters of crude oil. This ecological disaster has left its gigantic mark despite the fact that company Exxon alone spend more than two billions of dollars in order to clean the sea and the coast from pollution. As the result of this ecological disaster, large number of animal and plant species has forever gone from the hit Cook Inlet to the Prince William’s passage where this disaster happened. Cleaning attempts were also very bad as some experts are saying, because detergents and other chemicals have caused even additional pollution of the sea. In order to prevent as much as possible this negative impact of ecological disasters as the result of spilling of the oil, American Congress passed in 1990 so called Ocean Pollution Act (OPA) in which the major accent is on these issues: every owner of the tanker must have detailed plan in the case of possible disaster, which has to be in the written form; tankers must have a double hull, every owner of a boat that spills oil has to pay $1200 for every ton that spills and coast guard must always know where are oil tankers and giving them instructions where to drive to prevent the spilling. But as long the oil is insisted like primary energy generating product, tanker incidents and ocean pollutions with terrible consequences will happen, although this OPA measures are positive steps to preventing the tanker incidents and reduce the effects of occurring incidents. 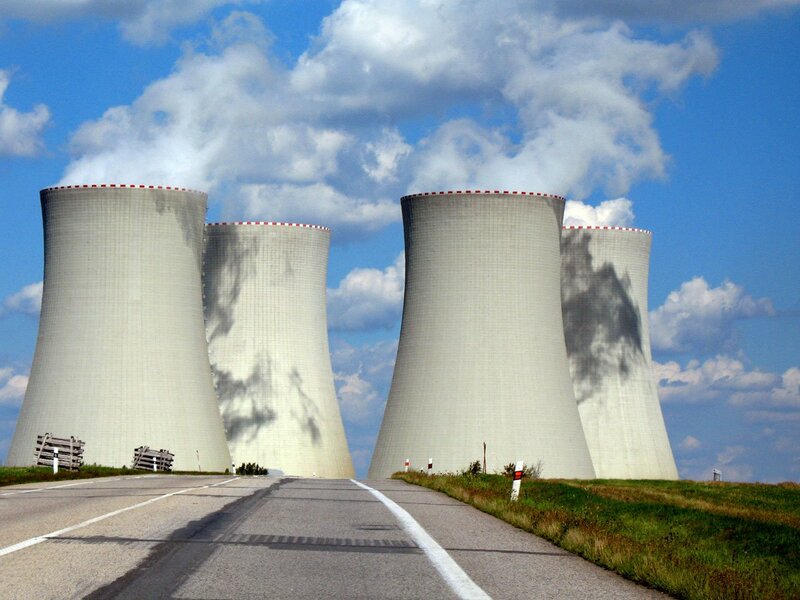 Nuclear power stations are safe if they are used under the strict regulations. 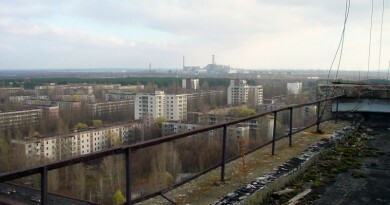 The most horrible example of nuclear disaster is Chernobyl which pointed the huge dimensions that nuclear disaster can be having and emphasized necessity of the maximal safety measures in the existing nuclear power plants and also influenced on the governments to decrease the number of future projects that were involving building of the nuclear power plants. Chernobyl disaster caused one radioactive cloud that spread to the areas even beyond former Soviet union and cost the lives of many victims, from the power plant crew, rescuers and fire workers which all died not long after the explosion and all the way to the huge number of people that died because of the consequences to the radioactive emission exposure and which number is by some unofficial UN statistics bigger than 30,000. Beside the possible explosion in nuclear power plant there is also the big problem in storing the radioactive waste which can be very lethal as well. For now there’s no method which would allow eternal neutralization of the nuclear fuel, but there are some positive improvements which could decrease problems with nuclear waste storage. But there are still lots of theories about the place where to store this waste and so far are mostly used abandoned mines and rural and inhibited areas, but these aren’t really long-term solutions. Mankind will be, not very far in the future, forced to find ecologically acceptable energy sources which will have to be enough to cover energetic needs. Momentarily there are renewable energy sources as the ecologically acceptable solution, but still it isn’t really to expect suitable commercialization of these energy sources, big enough to cover the growing energetic needs of the population. Sun’s energy isn’t enough exploitable and is very expensive, wind energy isn’t available in all areas in sufficient quantities and energetic potentials of water are already mostly used. Geothermal energy could be optimally exploited only on tectonic faults which are areas on Earth where thermal energy from inner of the Earth comes very near the surface. Tidal power and wave power are huge potential, but aren’t that reachable and therefore at this moment not very useable to generate energy. In future people will have to use a lot more clean energy sources. Bioenergy or more precise biofuels are making their place as the replacement for traditional fossil fuels, but this fuels are also releasing greenhouse gasses to the atmosphere and aren’t completely ecologically acceptable. There is also one ethical problem regarding biofuels. Since biofuels are made out of the sugar cane, corn, soybean and other plants which can be use as the food. In this way rich states are producing biofuels by transforming the food into the fuel while on the other hand there are lots of people dying from hunger, where this food could easily save their lives. “Clean” energy in large quantities could be at this moment produced only in nuclear power plants. Nuclear power plants aren’t almost having any effect on the environment if during the exploit all regulations are strictly followed. Besides the Chernobyl there weren’t major problems regarding nuclear power stations, and Chernobyl itself, really can’t happen again because all modern nuclear power stations have extremely well solved active as well the passive safety. With researching projects in the field of nuclear fission’s safety, there is also lot of technologies that could be used for future production of the energy. A highest hope is lying within the project ITER . ITER is an international project where technology for exploitation of nuclear fusion is being developed. Nuclear fusion is joining of two easy atoms into one heavier with release of the energy and that procedure should be completely ecologically acceptable (no strong radiation, no greenhouse gases,..).